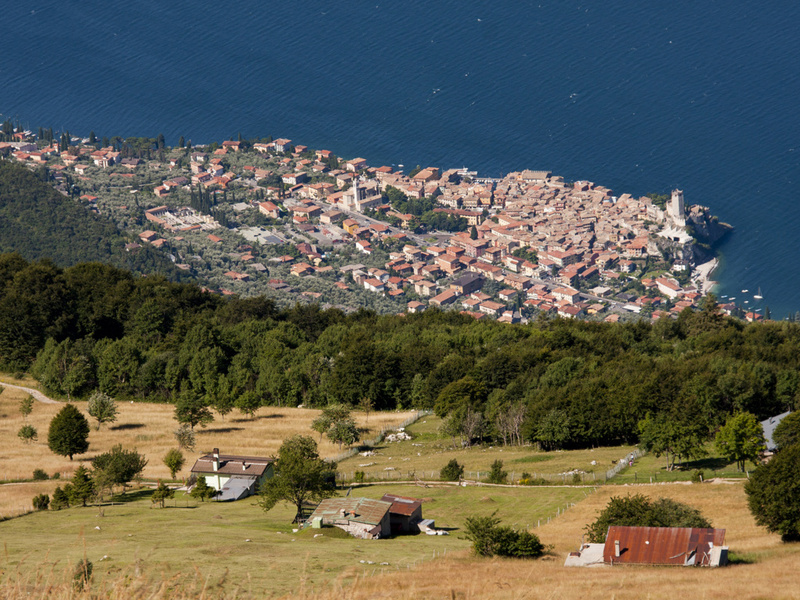 Holidays in Caprino Veronese ↔ Discover Lake Garda! This quiet community in the countryside of Lake Garda lies at the foot of Monte Baldo and is surrounded by olive groves and vineyards. 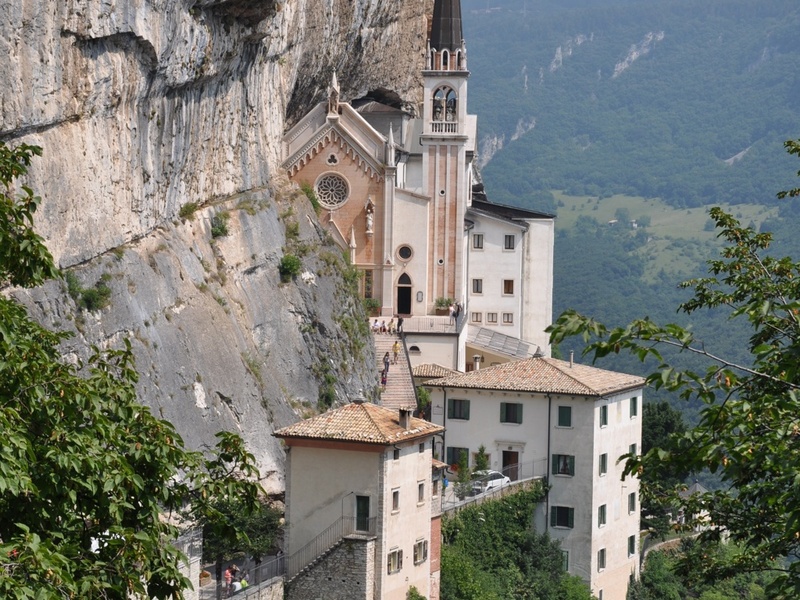 About 9 kilometres east of Lake Garda is the pretty village of Caprino Veronese with a population of over 8,000 in the province of Verona. Picturesque vineyards are showcasing their famous Bardolino wine at the foot of the famous Monte Baldo. Surrounded by numerous olive groves, the recreation-seeking holidaymaker will find relaxation and tranquillity here. On long walks, through the hilly countryside around Caprino Veronese, you can learn a lot about the country and its people. Ancient buildings tower in the middle of the untouched landscape and form a rich and unique picture. It truly is a perfect place to rest and unwind. The church in Lubiara in Caprino Veronese is beautifully decorated in winter. In winter, the picturesque village at the foot of Monte Baldo can also be covered with snow. The hall of dreams (Sala dei sogni) in the town hall of Caprino Veronese is decorated with numerous frescoes. Frescoes in the town hall of Caprino Veronese. San Martino church in Caprino Veronese at Lake Garda. The Caprino Veronese market is a meeting place! On Saturday, the weekly market in Caprino Veronese is a real meeting place for guests and locals alike. Here you can get hold of typical delicacies such as wine, olives and fish, or just stroll through the lively hustle and bustle of the market. Numerous activities and events attract more and more visitors to the village. Exciting excursion destinations and sights such as the sanctuary of Santuario Madonna Della Corona wait to be explored. Due to the proximity to Lake Garda and the famous mountain Monte Baldo, those seeking to relax and unwind soaking up the sun will find a lot of variety. For the thrill seekers, recreational activities such as water skiing, hiking, surfing, mountain biking, and of course swimming are all well catered for in Caprino Veronese. There is something for everyone! The accommodations at Caprino Veronese were rated 4 out of 5 stars by 2 users.